In the meeting, FM Zarif referred to the historical and long-term relations between the two countries and the positive attitude of the people of Iran towards France, and called for the removal of the barriers in bilateral relations relying on the wisdom and prudence of the two states’ authorities. 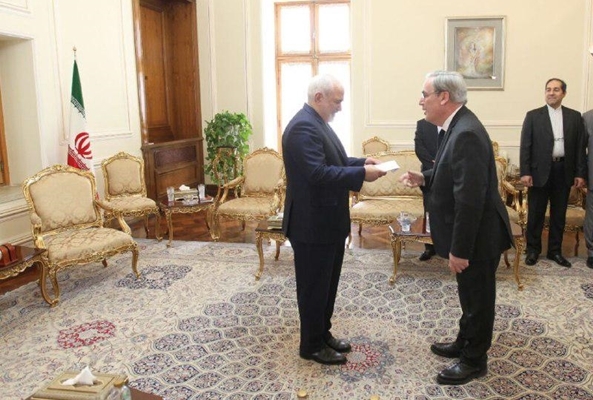 The Iranian foreign minister also announced the Islamic Republic’s readiness to hold talks and have cooperation with the French officials to solve the problems of the region. “The position of France, as underlined in the telephone conversation of the French president with President Rouhani, is to remain in the JCPOA and support and fulfil both sides’ obligations,” he noted. Thiebaud referred to Iran’s fulfilment of its obligations under the JCPOA, and highlighted the efforts made by France and the role it played in the establishment and introduction of INSTEX, the European special purpose vehicle aimed at facilitating trade with Iran under the US sanctions.